The Germany discount supermarket owns the exclusive John Malcom whisky brand. Now owned by the REWE Group of Cologne, discount supermarket chain Penny Markt began as a humble grocer in Bad Homurg, Germany. The chain sells a variety of consumables and household goods, including its own brand of Scotch whisky, John Malcom, which is bottled as a 12-year-old Highland single malt from a secret distillery. Confusingly, an eight-year-old Canadian whisky is also bottled under the same brand. Penny Markt was founded by William Leibbrand, whose father, Hugo Leibbrand, had owned a food wholesale store in Bad Homburg, Germany since 1961. William Leibbrand opened his own self-service food store and, by 1970, had expanded to 70 stores. The Penny Markt brand was created in 1973 as a chain of discount stores as part of the Leibbrand Retail Group. Since 1973, a long standing partnership had existed with the REWE Group of Cologne. In 1989, REWE fully acquired the Leibbrand Group. As of 2017, Penny Markt operates over 2,000 stores in Germany and over 1,300 stores in the rest of Europe, including stores in Italy, Hungary, Romania, the Czech Republic, and Austria. 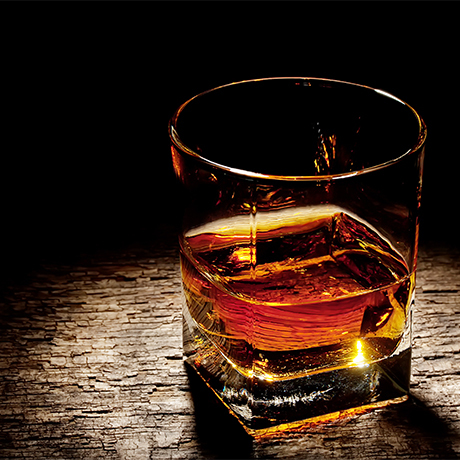 One of Germany’s largest supermarket chains owns Mc Intyre blended Scotch whisky.